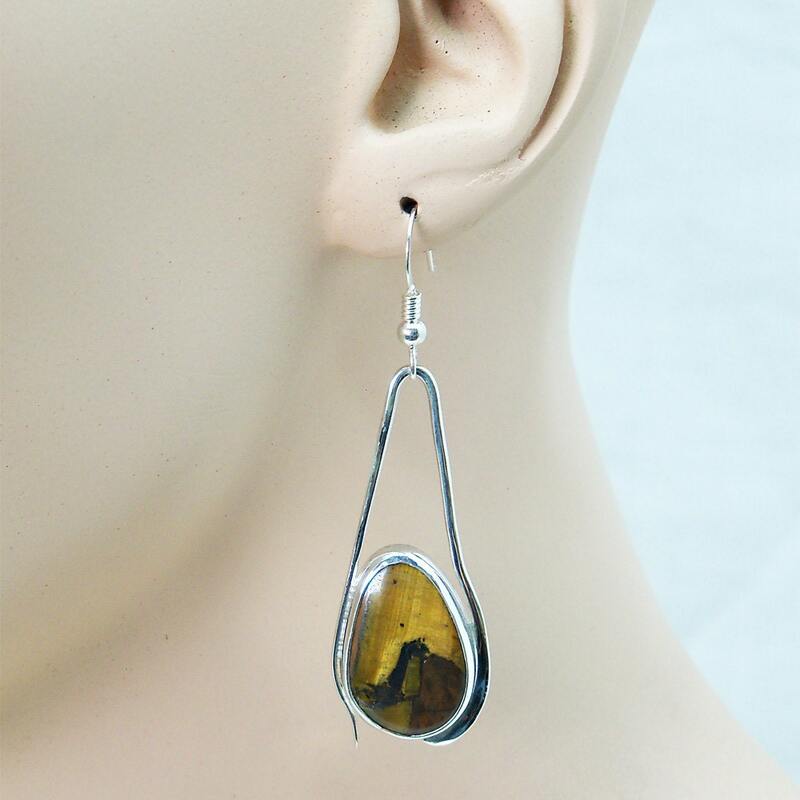 Tiger's Eye and Sterling Silver Earrings. These are one of a kind (ooak) art. 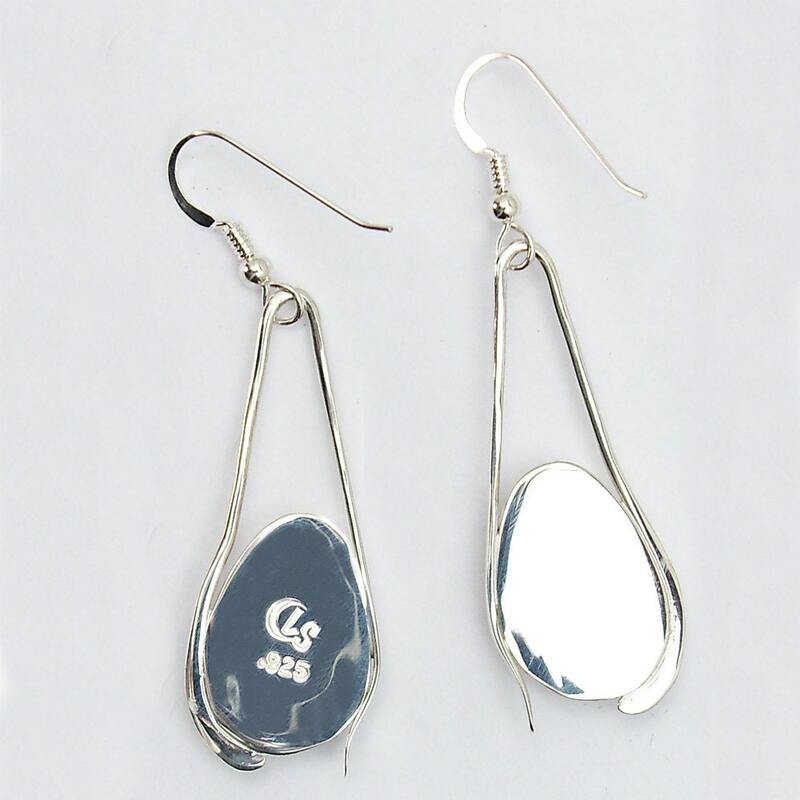 I personally hand cut the cabochons, then hand forged the metalwork to take advantage of the beauty of the stones. 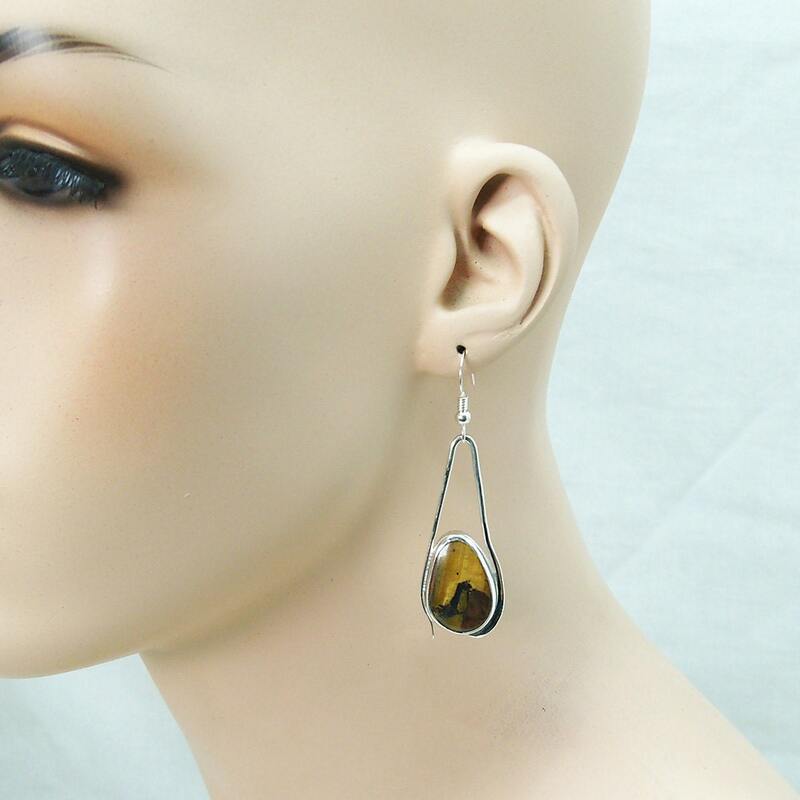 Metaphysical: Tiger eye stone is a protective stone with a fierce, dynamic energy, like a tiger’s eye! All tiger eye stones represent strength and grounding energy in different degrees, depending on the color—golden yellow, deep red, and anything in-between. 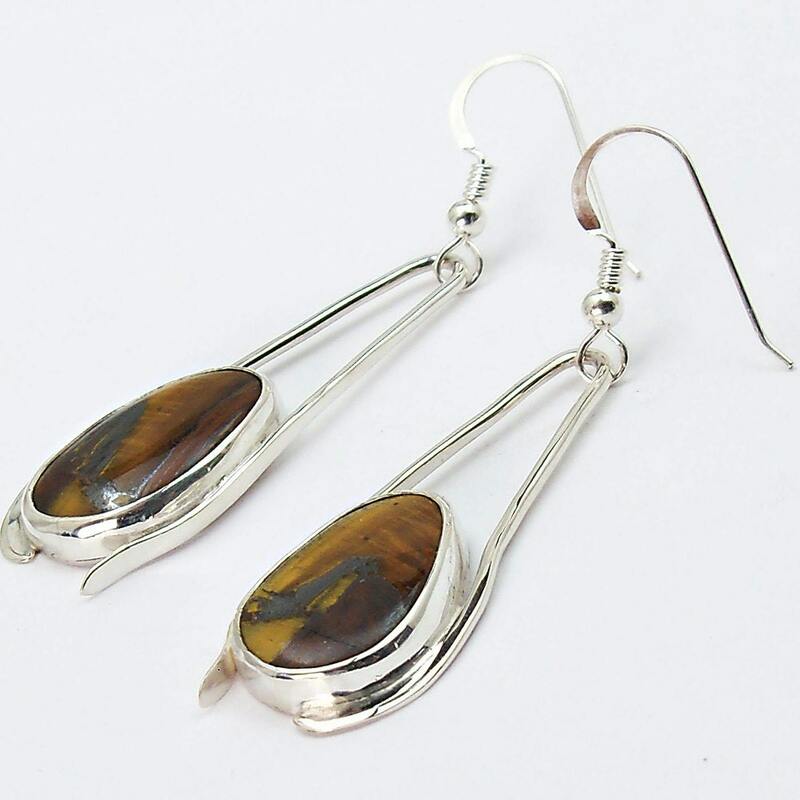 Tiger eye stones are also believed to have mystical qualities. Different combinations of colors and dark stripes make the stones even more special. 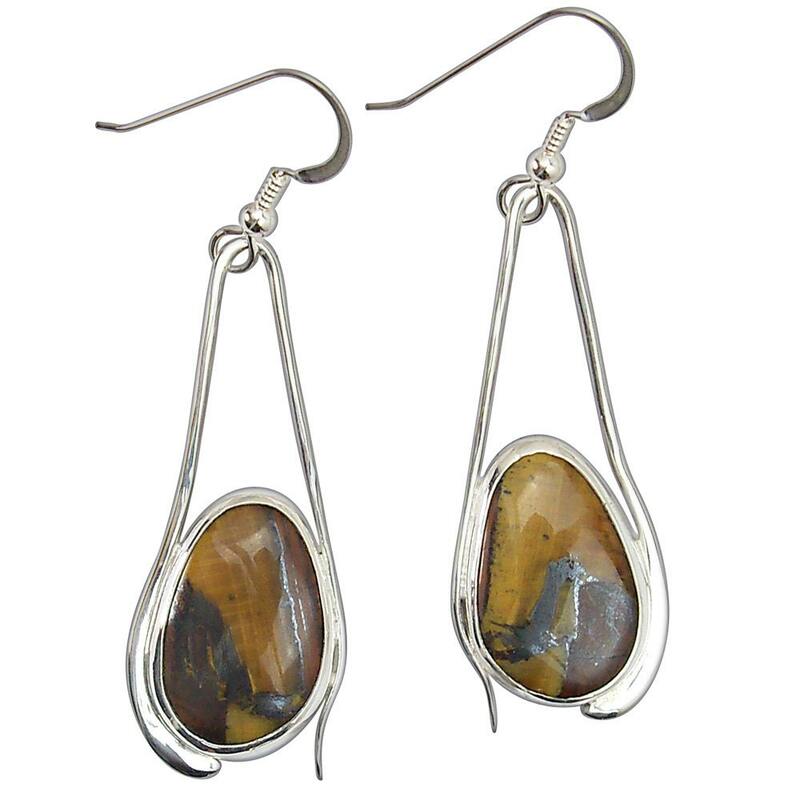 Geological: Tiger's eye (also called Tigers eye or Tiger eye) is a chatoyant gemstone that is usually a metamorphic rock that is a golden to red-brown colour, with a silky luster. A member of the quartz group.